Recycling cans and bottles is income for the poor, according to a new study. About six million Californians had income below the federal poverty line in 2010 according to census data released Tuesday, and for the poorest of the poor, recycling has become a part-time job. The payout from recycling bottles and cans may add up to extra pocket change for some people, but it’s a significant source of income for very low-wage earners, according to research by Occidental College released this week. The research shows if states set their bottle-deposit refunds high enough, payouts can make up as much as 9 percent of the yearly income of the homeless and people living far below poverty level. Occidental College Professor Bevin Ashenmiller is the first to examine the economic impact of bottle-recycling laws in her paper “The Effect of Bottle Laws on Income: New Empirical Results.” In it, she found households with an annual income under $10,000 earn an additional $340 a year by recycling for cash. The earnings rise for Spanish-speaking low-income households who earn up to $428 a year through recycling for cash. For one month, Ashenmiller surveyed 650 people who return bottles and cans for cash at several redemption centers in and around Santa Barbara, Calif. Assuming the average salary of low-income workers in her study is $5,000, Ashenmiller concluded $428 represents an 8.6 percent raise in yearly income for those workers. "While the overall effect of the deposit refund for many income levels may be very small, for the people falling into the lowest income bracket, it is quite meaningful," said Ashenmiller. "If states set their bottle deposit high enough, harvesting recyclables becomes viable employment for low-income households." Twelve percent of households with an income less than $10,000 participate in the California Cash Redemption Program, which began in 1987. In California, beverage containers subject to California Redemption Value (CRV) are valued at 5 cents for containers less than 24 ounces and 10 cents for containers 24 ounces or larger. According to state statistics, 225 billion aluminum, glass and plastic beverage containers have been recycled since the program began. 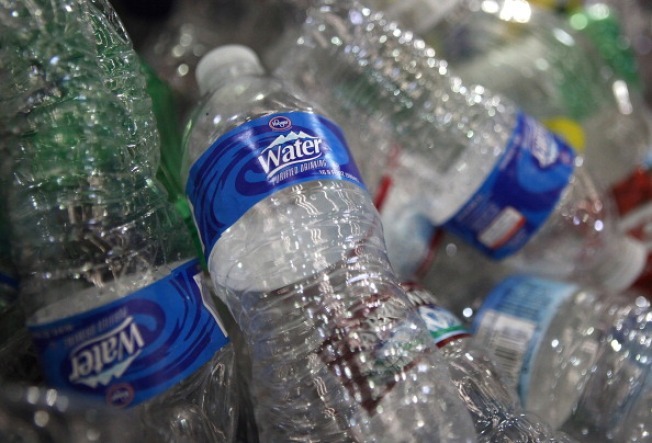 Bottle-recycling laws exist in 11 states including California.